“Are you sure you want to take photos? Y’know ‘cos that jacket its horrendous”. I love leopard print, man-repeller or not, I don’t care, I just bought the most amazing pair of leopard print loafers, I have scarves, bags you name it. Its a neutral in my books, but a neutral with a bit more oomph. Bringing the jazz hands to any outfit nicely even in a neutral. I saw this jacket recently in my local Sainsbury’s and just thought it should be mine. With the Blue short sleeved knit it just had a retro feel that I just really liked. 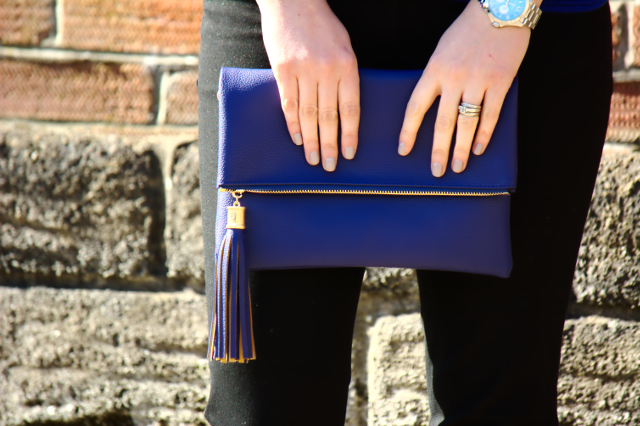 I finished off with the necklace I can’t seem to stop wearing as it’s just so good and one of the new blue clutches. Ok, So enough of the outfit, are well taking a collective sigh of relief that its Friday? I now I am. Wine is chilling, and the takeaway may as well be pre-ordered as I am so ready to kick back and switch off .. well switch off as much as you can when you have children.. hence the wine, ‘cos that always helps. Also sidenote: Did you notice that strange, bright shiny light in these photo’s? I know.. I’m as shocked as you are, the sun came out for a whole morning and I nearly died from exposure. No, but seriously it was such a mood lifter. Needless to say its gone again now and the murky, grey that we all know and not love has resumed. Twas nice whilst it lasted. Great minds!! You look fabulous in your leopard (dont listen to the ole man!) Just did my post for a bit of leopard, but yours looks fab with that gorgeous blue, one of my favorite colours.I have not had time to even think about a second post this week due to grandchild no 8 being born. a 48 hr labor with my daughter (poor cow) and baby sitting others I am a little worse for wear! I would gladly share a bottle or two with you at the mo! that blue is the perfect pop! totally coveting that jacket! What a fabulous shade of blue, so perfect with animal print. Man-repeller or not, so fabulous! Glad you stuck it out, this combo is perfect. Enjoy your weekend! What's with the man and leopard print? There's never a wrong moment to wear leopard. Or any animal print for that matter, no matter what Leandra says. You look beautiful. The cobalt blue is such a scenestealer too!!! Cobalt blue is my favorite and my don't you look lovely here Rachel. Thank you for this link up, I hope you have a fabulous Friday and a great weekend! Husbands can be so funny! I love your jacket, especially with the cobalt shirt! Beautiful necklace too! 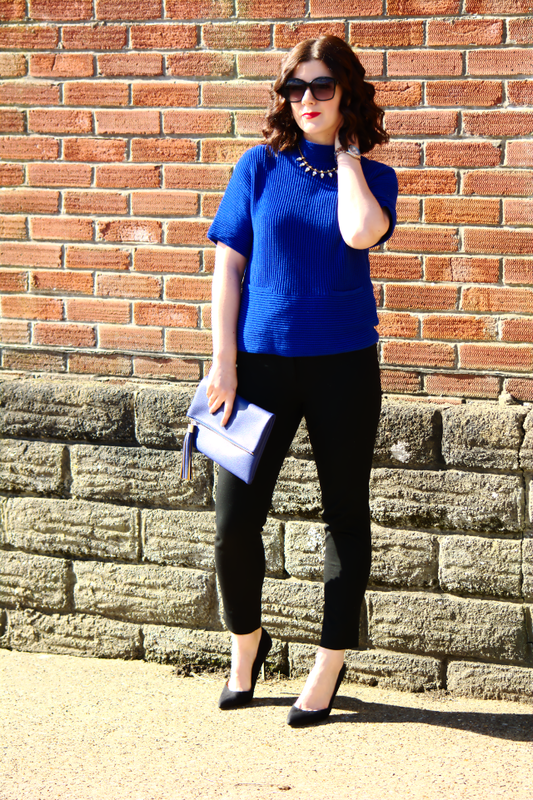 I am a huge fan of cobalt and is sharing a look with it today. Love it with the great leopard coat. Loving the blue with the pop of color on the lip!!! 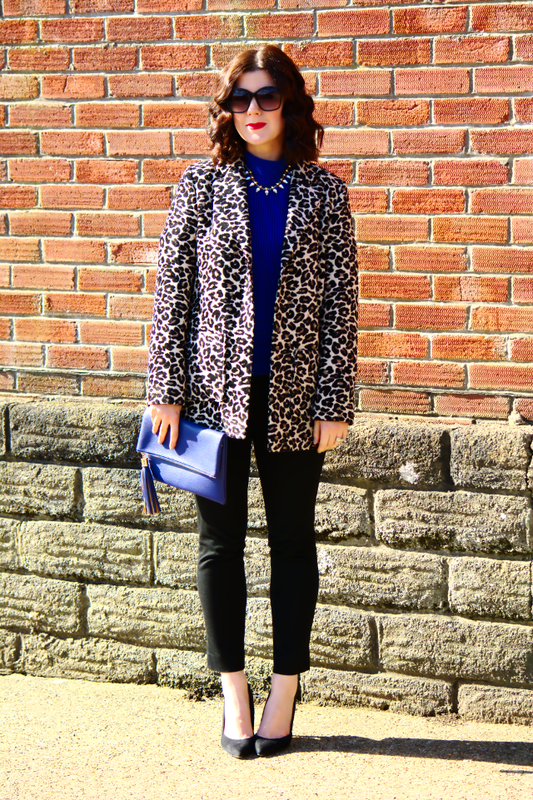 Your coat and clutch are gorgeous and I love leopard paired with blue. My husband makes some funny comments for my outfits sometimes lol. Thanks for the linkup. I would love for you to join my linkup below, too, with this beautiful outfit. Thank you. 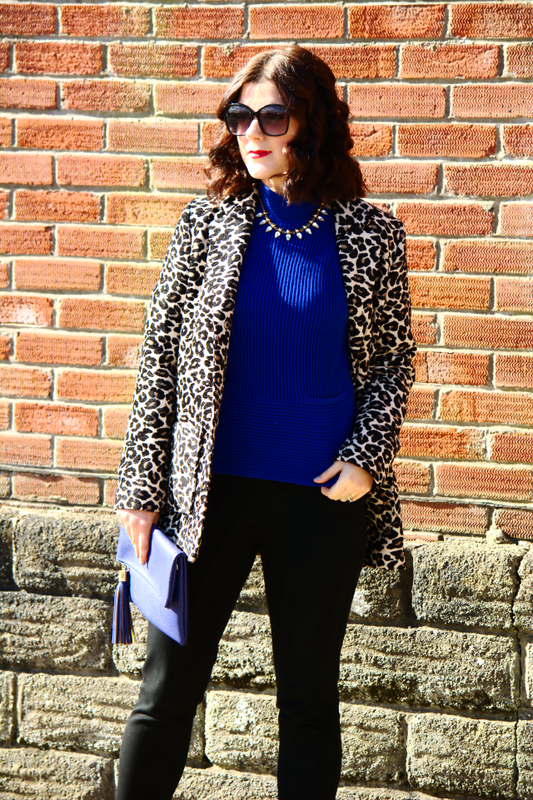 Loving the cobalt blue with the leopard! Thanks for the link up & have a fab weekend, Dear! Great look! 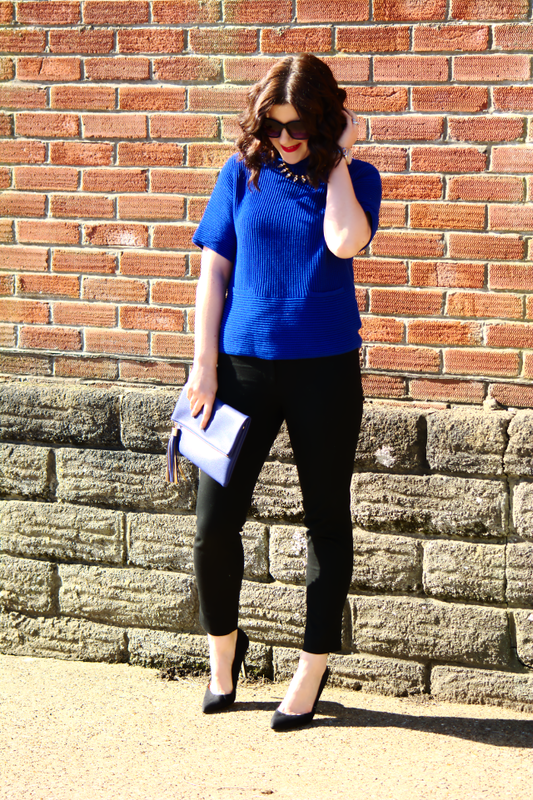 LOVE the cobalt and leopard! What a fabulous statement coat! 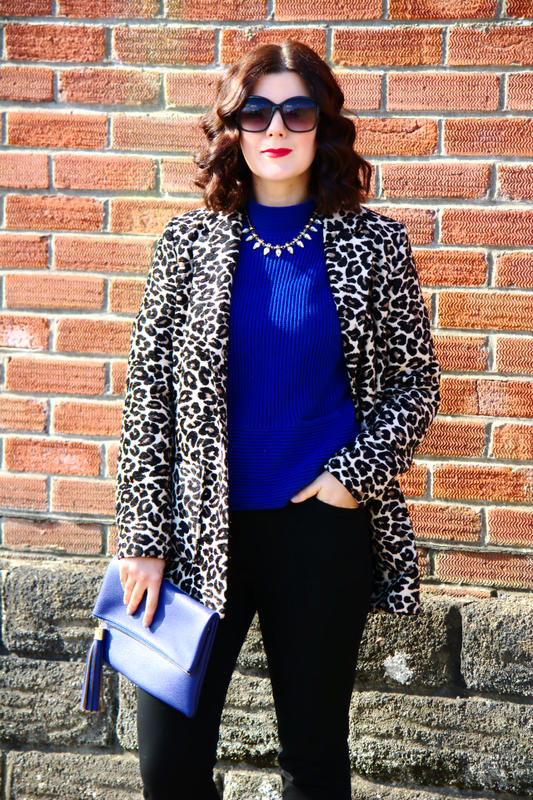 Leopard and cobalt were made to be paired together! What an incredible coat! It looks amazing with the blue sweater! That is a beautiful shade of blue! I love it with your animal print coat! Love the combination with cobalt blue and the leopard!! Sometimes boy just don't get it…lol! I agree, leopard is definitely a neutral. And you were born to wear cobalt blue. Beautiful! I love a bit of leopard print – and you wear it so well!! It looks amazing teamed with blue, it really suits your colouring. Yessss…Those jacket is fabulous and I'm all kinds of obsessed with cobalt! That sounds exactly like something MY husband would say. It just proves that women dress for themselves not for men! Love animal print and you nailed that outfit! 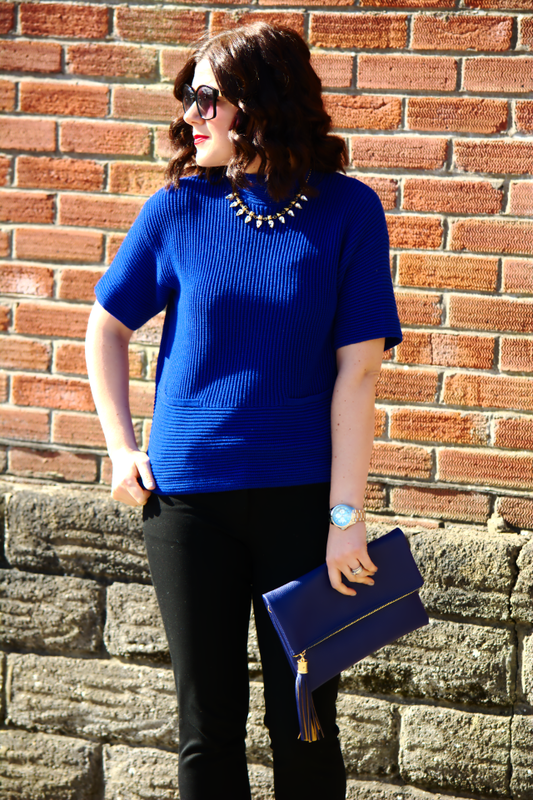 Cobalt blue and leopard print are such a heavenly combination! 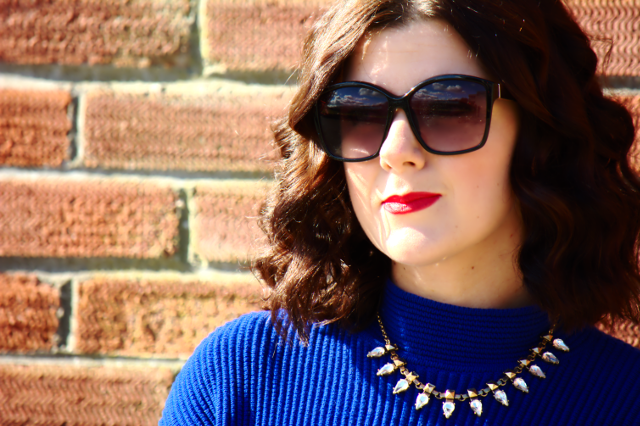 Love how vibrant and chic this whole look is for winter! 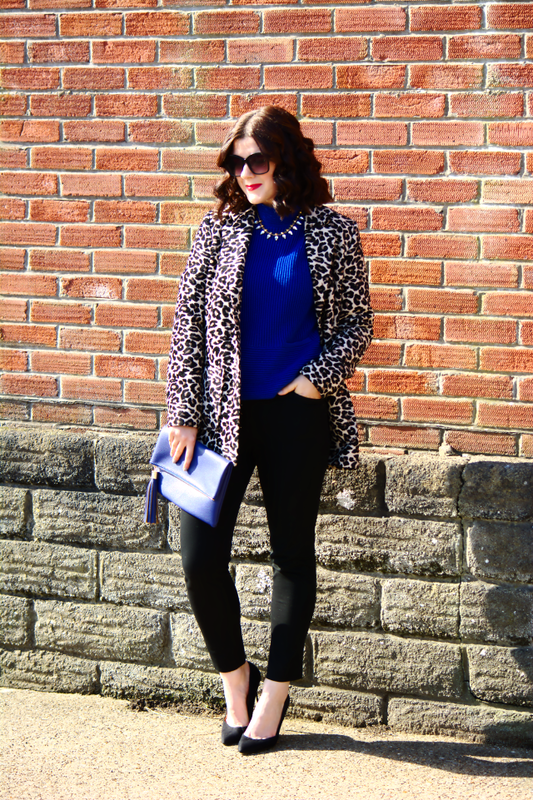 Absolutely love how the cobalt looks against the leopard print!! My husband makes similar comments when I wear my leopard print coat…he calls me Lilo Lil (only people of a certain age who grew up in the UK will know what he means!) and he has a similar opinion of all faux fur coats, but he lives in holey t-shirts and jeans so I'm not taking fashion advice from him! men what do they know, I love the jacket.